Taki is just a 2 hour distance from Kolkata. It is located in the banks of the Ichamati river. On the other side of the Ichamati river is Bangladesh. Taki is the land of Zamindars. Once there were palatial houses in Taki, however, all of them are now in dilapidated condition. 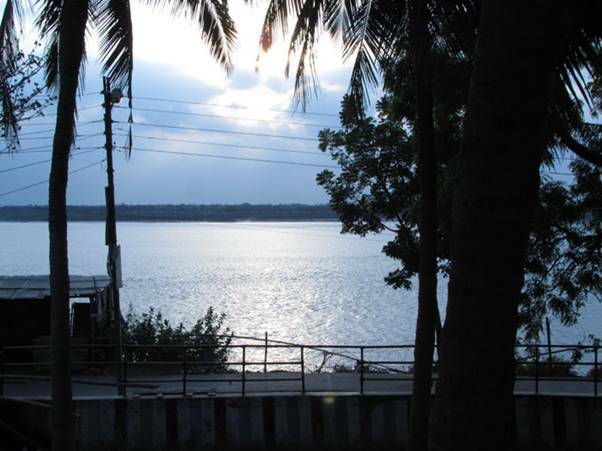 There is 129 acre Machranga Island which you can visit by taking the launch service from the ferry ghat. The Ichamati river is engulfing the island at quite a pace. Another attraction of Taki, is the Durga immersion ceremony. Every year where lots of people on both sides of India and Bangladesh gather to watch the immersion ceremony. It is an auspicious time to reap harmony among people from both sides. 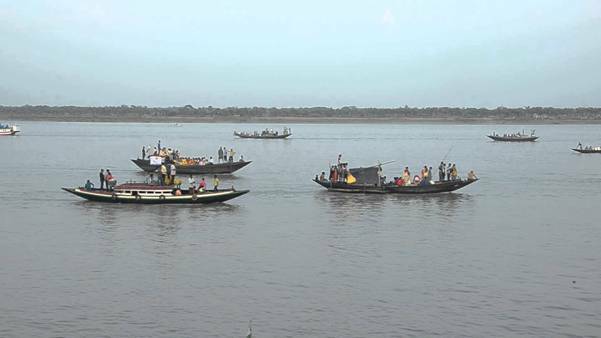 Boats from both sides sail to Ichamati for the immersion of Durga idol. Taki can be visited any time of the year. However, the most suitable time to visit Taki is during the winter season, especially due to the original jaggery or Patali Gur available there. Another time to visit, which is equally memorable, is to watch the Goddess Durga immersion following the Durga puja. This is a spectacular event in Taki as idols from both the countries are immersed on the waters of Ichamati together. 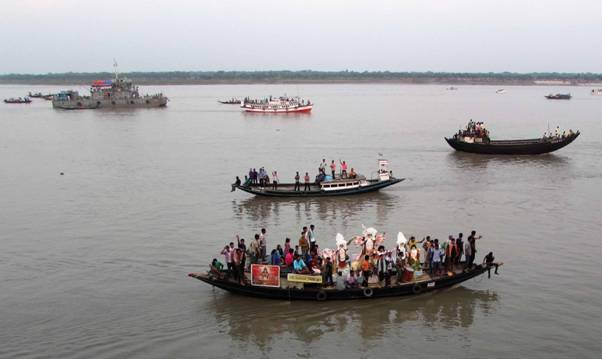 Being close to our neighboring country Bangladesh, a boat ride on the waters of the Ichamoti is an activity you cannot miss. Another boat ride to the Machranga Island is also a nice thing to be done here. Hire a van rickshaw and visit the Golpatar jungle. The experience of the newly made canopy jungle path walk inside the Golpatar jungle is unique and interesting. Remember to carry a photo identity proof if you want to visit the Golpatar jungle, as BSF will only let you enter the region if you have one. The food at Taki is amazing. 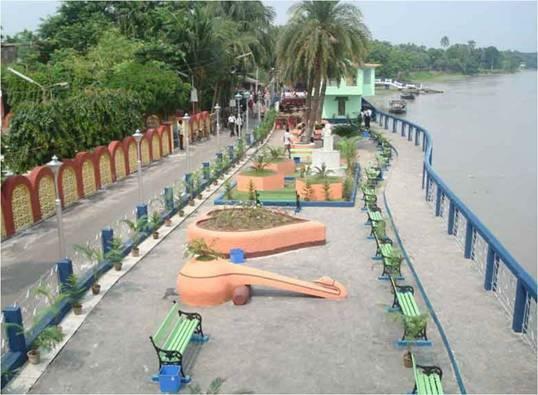 Since, the small township is located on the banks of Ichamati River, you can savor the various delicacies of the freshly cooked fishes like Hilsa (Ilish), Rohu, Prawn (Chingri), Parshe and Pabda. Taki is also famous for its sweets, especially mouth-watering Malpoa. There are few private guesthouses in Taki. 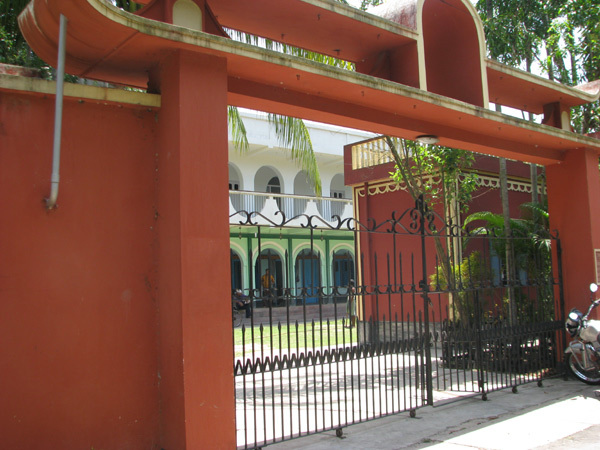 However, the best place to stay in Taki is a Bagan bari (Garden house) which is called Bishram Bagan Bari ,away from the picnicking crowd. 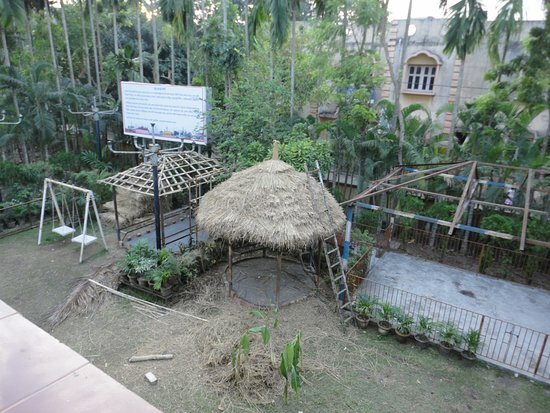 A beautiful pond, open lawn for kids to play, a temple, a small art collection and all modern facilities like AC, attached western bathrooms, make this Bishram Bagan Bari - the cosiest accommodation in Taki. 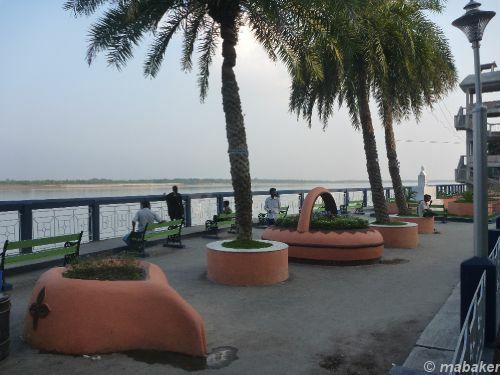 The Icchamati river is only 3 mins walk from this baganbari. You should do prior booking at this bagan bari before you actually reach Taki, as most weekends are pretty busy.